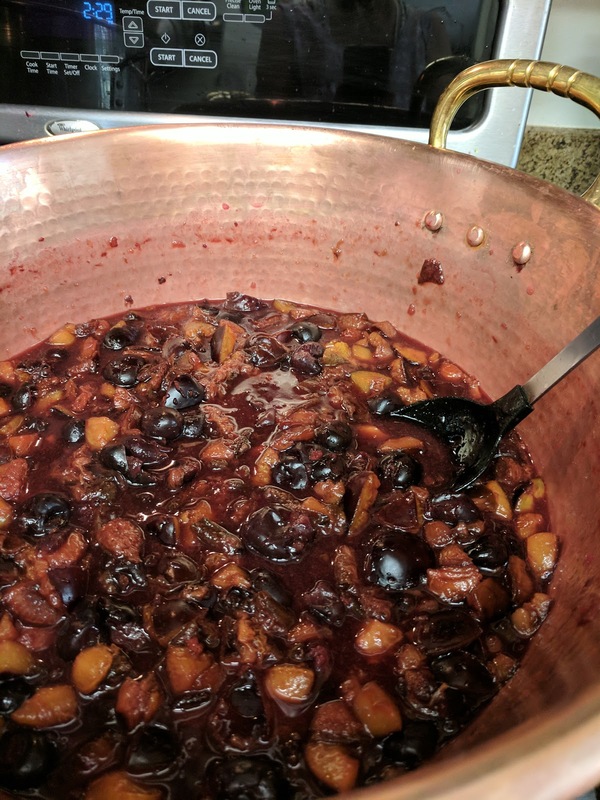 This is the first year for Preserves I have always taken the delicious cherries I get from Washington and produced some great Jam's. Last year we made a Cherry Mint Shrub . I do always try to get super creative but this year we are going to enjoy the simplicity of the cherry itself. I took this recipe and complete changed it up by adding so little sugar as well as making it brown sugar which gives it such a warm flavor. To start have all your tools and water bath ready. I leave the jars in the hot water to have ready to jar up and give the water bath. Clean and pit and chop your cherries. Yes it is a chore to get all the pits and the nice thing is that any left over pits float in the jam or preserve making it easy to fish the seeds out. 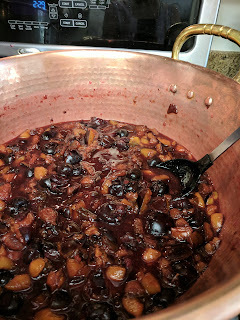 Once your cherries are pitted and clean put them into your pot. Add the lemon and stir on low until the cherries are easy to smash a little. 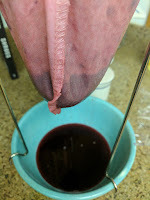 This releases the juices/natural pectin and will let the cherries accept the rest of the ingredients. While the cherries are warming take your vanilla beans and slice them down the middle and scrape the vanilla out of them and add the goo as well as the vanilla pod to the cherries mixture. * Let's talk Vanilla Powder.I make Vanilla Extract and after many a batch I have left over beans from the liquid. these are not to be wasted they are infused with so much flavor. I simply dry them out and grind them for Jam's and they work fabulous for Baking and Ice Cream. Your pot should simmer for about a half hour this lets the flavors mingle. Now add the brown sugar to the mixture the mixture should have a nice texture not to thin and not to thick. Let this simmer for 5 to 6 minutes. Have your jars ready. Turn off the heat under the cherries. Let this sit for 5 minutes. I always let my jam sit for a few minutes once it is ready to go into the jars. Many reasons trust me it helps. Skim off any foam. Take out those vanilla pods you put in earlier ! Take your jars our and fill them to 1/2 " head space. Wipe the rim of the jar clean and cap. Water bath for 10 minutes remove let them cool for at least 12 hours. Remove the twist clean the jar label and store in a cool dry area. Good for 1 year give or take. Disclaimer: This is not an all inclusive recipe for making jam. 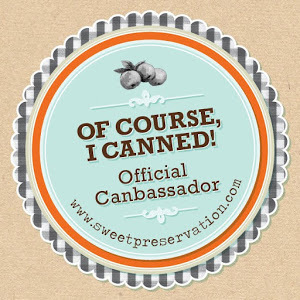 You should have a basic knowledge and understanding of the canning process before proceeding. Please consult your local Agricultural Extension Service for additional information. best jams we can create. Every year I have the privilege to host many a Cherry and Stone Fruit in my home to create a few Jam recipes. I have also created a few Cherry Shrub's that go quite well with a drink or two or three. This year I have compiled the recipes I have made in the last few years with the Fruit Washington has sent me. Looking forward to what I am going to create this and every year. It is a wonderful challenge to come up with something sweet and keep " The Cherry as the Star in the Jar"! Italian Prunes it sounds so much better when I say Plum ya think? As you all know the State of Washington sends me stone fruit each year to come up with some new and exciting recipes for this fruit. 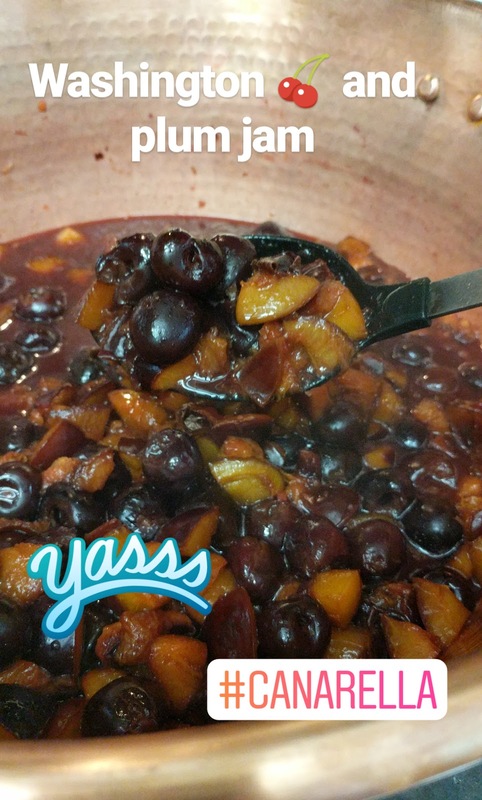 Well I happened upon this recipe because I have a case of Pear's begging to be jam. And a piece of ginger the size of my Grand-baby's head.These plums are a bit more tart then the California grown. Yup this later in the season surprise from the Washington Fruit Board was delightful ! Italian Prunes we will call them Plum's. 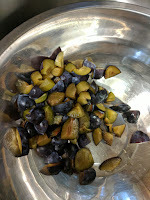 Start by gathering all those little plum cubes and put them into your pot with the lemon juice. Keep this on a low flame while they cook. You need to soften up the plums to make them better apt to crushing. The longer they cook the softer they become and the more juice will come out of them. It is a beautiful thing jam making. Take your time and enjoy the process. Next you need to add the pear's so far you have done no smashing. Lets gather all the ingredients together then get to the texture! 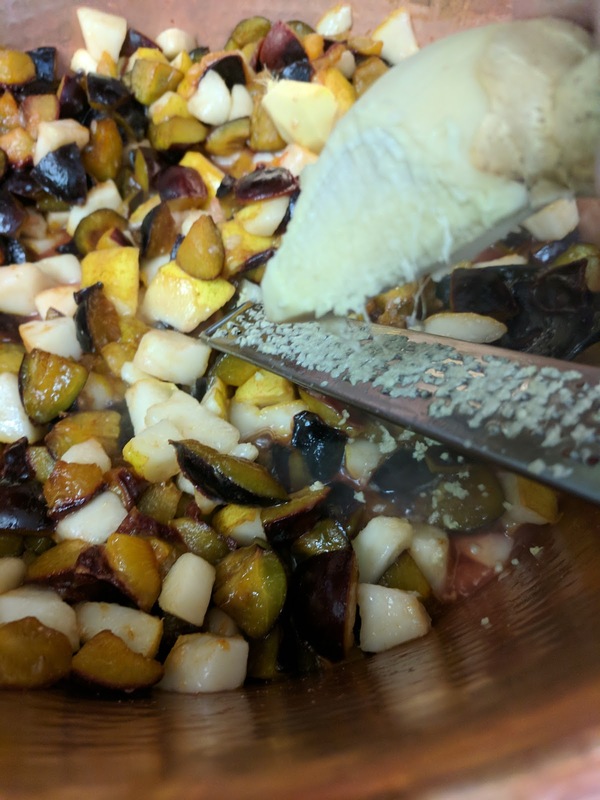 Stir the pear's into the plums and start to add your ginger . I add it directly into the pot. Also I take a large piece and let it cook with the jam until I am ready to jar up. As you see I grate the ginger right into the jam ! This is what makes our jam's so delightful the fresh part of it. Alright by now you have your plums, pear's, ginger and lemon juice in your pot. You should have a glorious color and liquid going by now. This is the time you can put in one cup of your sugar. Make sure it dissolves completely prior to dding the other cup of sugar. 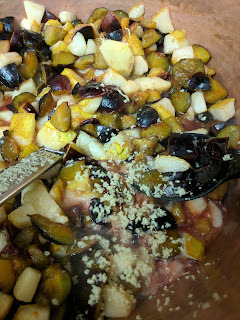 Also take the time to smash your fruit mixture to the consistency you like. I always have my two favorite tools ready and waiting for the jam making . They are my potato smasher and my Immersion Blender. Now let everything cook to a boil you can not stir down. You want to get your jam to gel. I do this with no pectin and the use of a candy thermometer. I want all my Jam to get to 222-223 degrees to get a good gel. 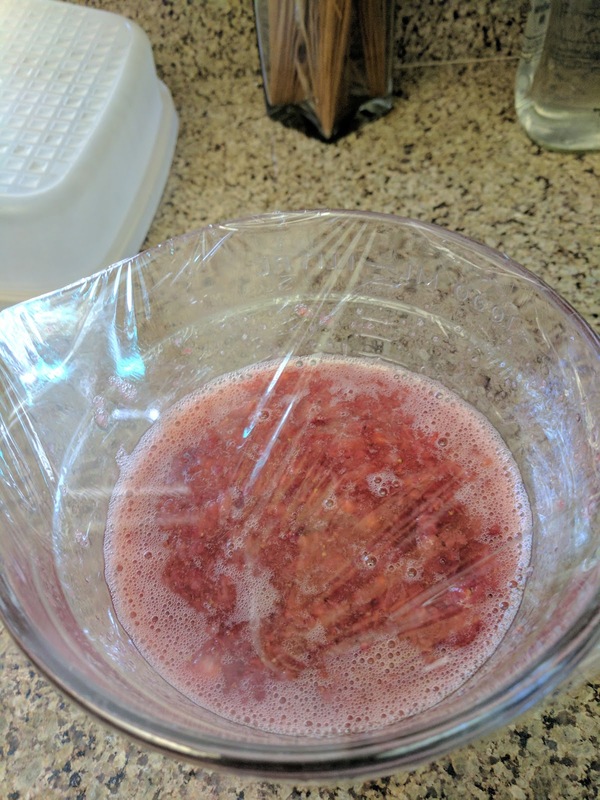 Here is a post on getting your jam to gel. Also a post on Is your jam set? Once it is to the right degrees you need to turn off the flame and let it sit for a few minutes. With most jam this is a smart idea it will help you fruit to not fall or float. Also when it is done cooking give it 5 minutes to rest prior to filling your jar's. Have your jar's ready. Cover your counter to protect the jar and the counter. Fill your jar's to 1/2 inch from the top. Wipe the rims. Place the lid and twist top . Twist it taunt and put into the boiling water bath for 10 minutes. Once the time is done let them sit for a few minutes and then remove and place on a covered counter for no less than 24 hours. Once done Remove the Twist and wash your jar's. 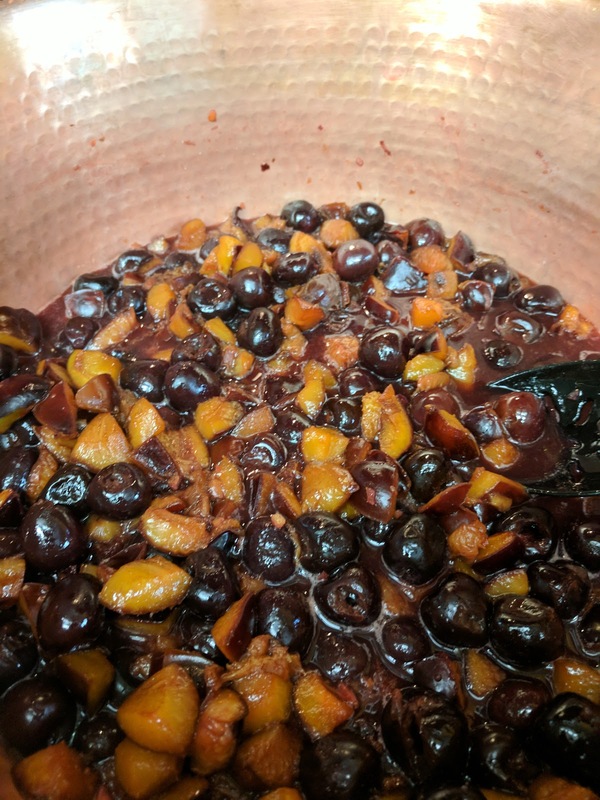 "Hey Canarella freeze some of these Cherries for later in the season when more stone fruit arrives and mix up a Stone Fruit Party! Washington State Fruit Commission I love them ! And in come the Italian Prunes but for reason's we all know we can changing the name to Italian Plum's because they are not yet shriveled! Thus we have the Washington Stone Fruit Late Season Party other's will know as Italian Plum and Cherry Jam. Put your clean, chopped stone fruit into your pot. Make sure it is non-reactive. I have a beautiful copper kettle my hubby got me a few year's back. That is another post. Add your lemon juice to your fruit keeping the heat on low to medium you want to slowly cook your fruit to soften it for smashing. The longer you cook it down the more natural juice you will get from the fruit. It is a magical process. My jam's are non pectin jam's. I have used pectin in the past and many of my recipes call out for it but through the year's I have found more taste, less sugar and a beautifully set gel to most of my jam's. The trick is heat. Be patient any good jam is not something I want to rush if your in a rush get out of the kitchen. Alright your fruit should be softening up to be able to start crushing. I use a potato smasher and an immersion blender. 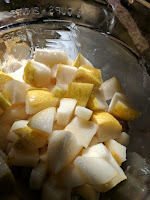 I start with the potato smasher to because I do not always want to blend the fruit to much. I want you to have a nice piece of fruit to see and taste when eating my jam's. Here are my two magic tools. Alright moving on you want to get the consistency of your jam to what you like best. Now it is time to add your sugar and get the jam up to temperature. Add you sugar one cup at a time and keep the flame on high. You want a boil you can not cook down. Your thermometer should get to a temperature of 223 degree's to gel. Here is a link to the whole Gel Point Topic. 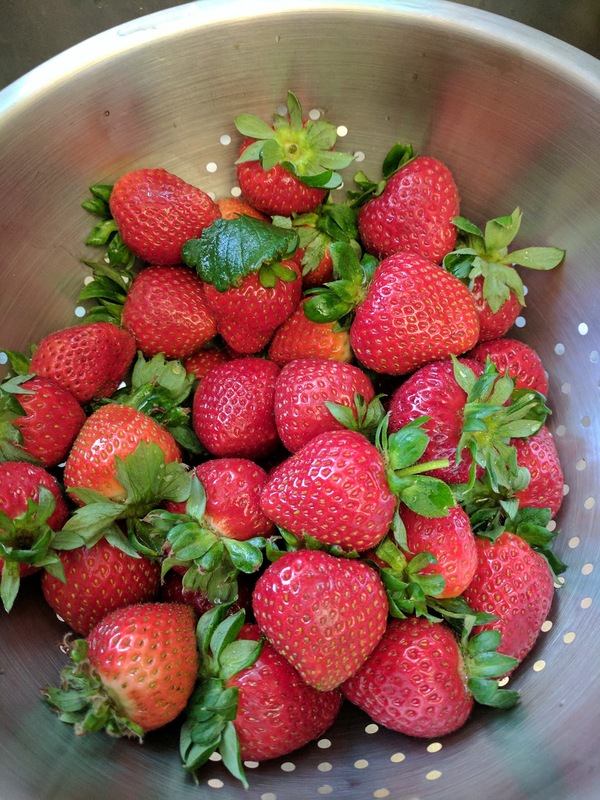 This post will lead you to the Make your own Pectin post and the good old Pectin or No Pectin Post! Well now back to our Jam. Now that you have added all your ingredients and have it up to a good temperature turn off the heat and let it sit for 5 minutes. Now if it is gelled it will get a nice film on top but no worries it will still be hot enough for your jars and you can easily stir in the little film. It looks beautiful! These Shrubs are beginning to be a part of my drink daily. 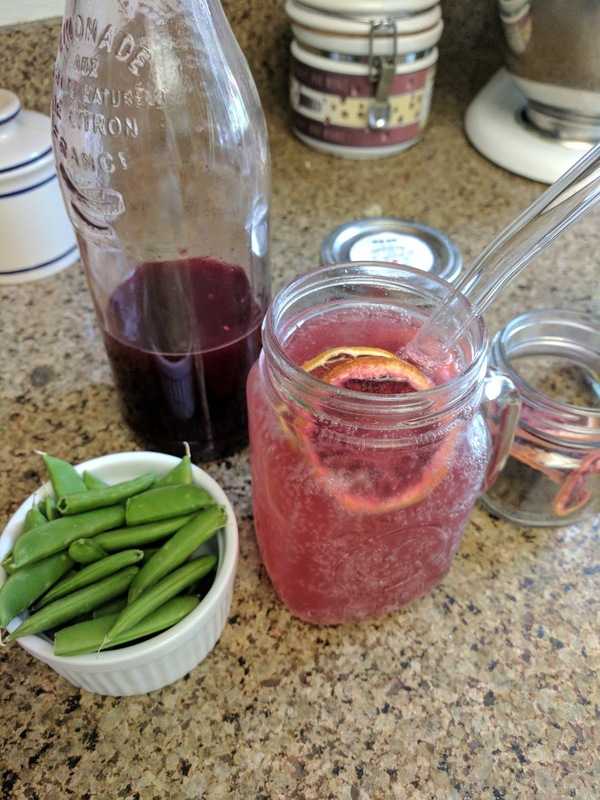 This Strawberry Balsamic Vinegar Shrub is super delicious. The things that I like so much about these drink additives is the great stuff a Shrub offers the body. I do drink a lot of water as well as carbonated water. Thus the Soda Stream tool. So since I have discovered the Scrub I can add so much natural flavor to my water and I know exactly what is going into my drink! I truly hope everyone else gets so much sanctification from knowing right where the things you put into your body come from. Well let us get started this is super simple. Prior to putting my mixture into the refrigerator for a two day rest I will smash them together to bring out as much flavor as possible. One this is all incorporated put the mixture in the refrigerator for up to two day's. I have often times forgotten and it does sit a bit longer but no issue it is good. That I know. Bring you mixture out of the refrigerator and strain your strawberry mixture. 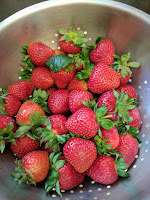 Add the vinegar and mix this up well with the strawberry mixture in the same bowl. Once this is mixed together pour the mixture into a Mason Jar and cap this is good for a couple month's refrigerated. Now Just Pour and Enjoy. Add some of your Dehydrated Citrus Slices. Yumm! * NOTE: I use the fruit that was strained for other uses.